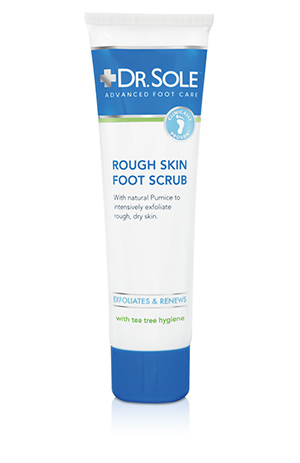 This hardworking foot scrub contains natural Pumice and hygiene Tea Tree Oil to effectively soften skin. The germ fighting properties of Tea Tree Oil act as an active force against germs. 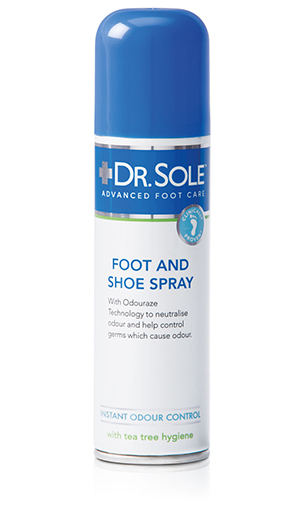 This hardworking hygiene foot and shoe spray acts as an instant deodorant for active feet. The fast drying formulation contains Odouraze Technology to remove odours for instant freshness. Use in shoes for added odour and moisture control. Specifically formulated with Odouraze Technology to help eliminate odour while effectively absorbing excess moisture produced by sweat glands in the feet. Helps to keep feet and shoes fresh, dry and odour free. 3-in-1 action to deeply** cleanse, neutralise odour and provide hygiene protection. 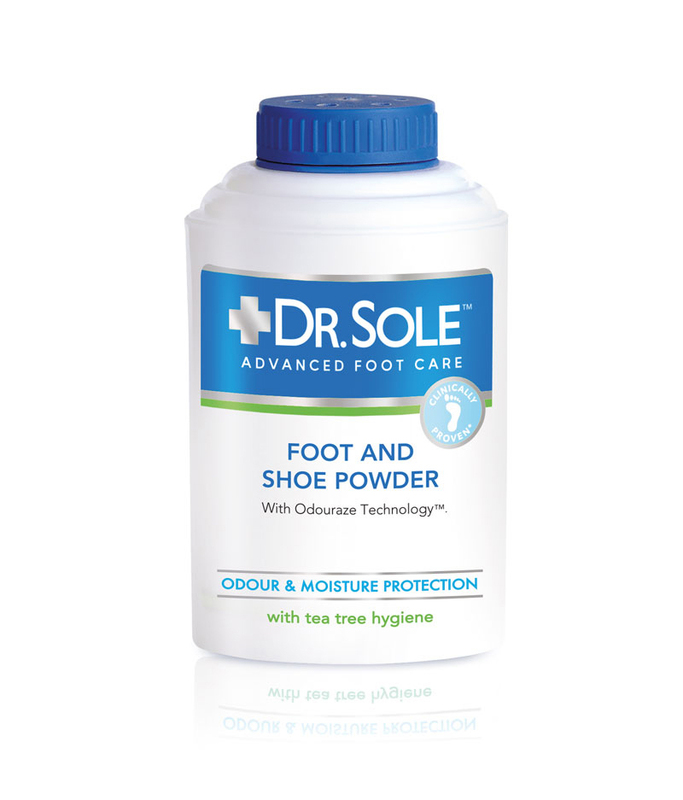 Formulated with Odouraze Technology to help remove odours and Tea Tree Oil which acts as an active force against germs, ideal for tired and swollen feet.